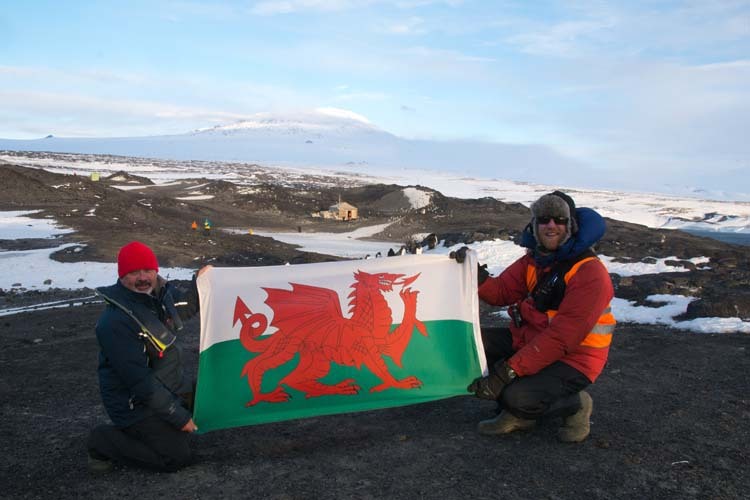 I am away from Wales for a few weeks guiding on a trip in Antarctica. Here I was a few days ago at Cape Royds on Ross Island under the towering bulk of Mount Erebus. Mount Erebus is one of only 3 volcanoes in the world that has a permanent lava lake. It is is also the world’s southern most historically active volcano. Cape Royds is also the site of Shackleton’s historic hut which was used for the Nimrod Expedition where he got within 95 miles of the South Pole.